Budapest has a large Jewish community estimated around 60,000 – 100,000. 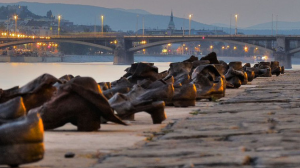 The once thriving community of Hungarian Jews suffered terrible losses in WW2. The memories of losses as well as the beauties of the once prospering community are special gems in the capital of Hungary. Budapest has an amazing Jewish heritage, with lots of attractions (synagogues, statues, stumbling stones, museums, etc. ), which are well worth a visit. 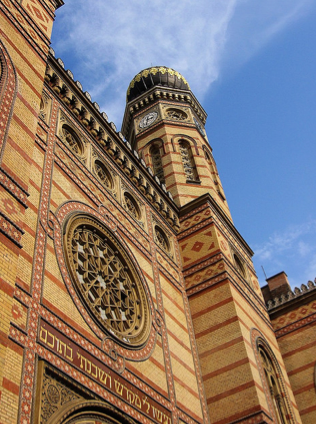 Basic Jewish Budapest Sightseeing Tour: 2.5 hour guided tour, including visit and entrance fees to the major downtown Jewish heritage sights, such as the Great Synagogue Budapest in Dohany Street, the nearby Jewish Museum, and the Jewish Cemetery (located in the backyard of the Great Synagogue, also part of the Jewish Ghetto). After the tour it is possible to visit the Jewish Quarter Exhibition in the Goldmark Hall and the Family Research Center. The Jewish Walking Tours typically include visits to the second biggest synagogue in the world, the Central Synagogue in Dohany Street Budapest, the birth place of Theodore Herzl (right next to the Synagogue), entry to the Jewish Museum, walks in the Jewish Quarter of Budapest, where many Jews still live (see the Budapest Jewish Festivals page for further info). 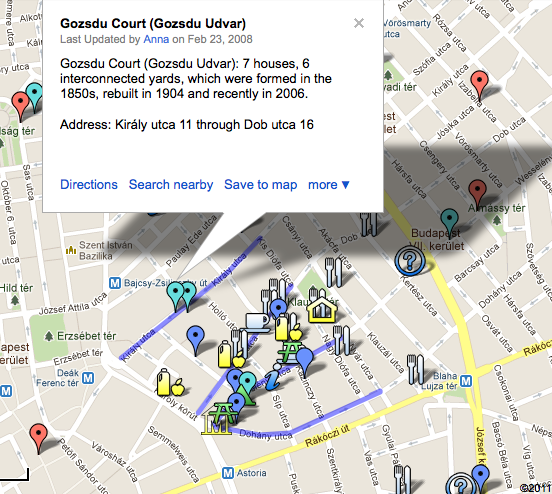 Yet, you can take a walk to some more Jewish Budapest attractions (see the map below), such as the Shoes on the Danube Holocaust memorial (probably the best Holocaust memorial in the world we thin), the Holocaust Memorial Center, the Obuda Synagogue, the Budapest Stumbling stones (Stolperstein), the Medieval Jewish Prayer House in the Buda Castle Budapest, etc.